We would like to tell you the story of a rescue in northern Sweden. Outside Sundsvall, in a small town called Timrå, a sports court that had recently purchased the Proggetti Rescue Sam defibrillator, has organized an obstacle race. During the competition one of the participants suddenly felt to the ground unconscious. The athlete was 35 years old and worked in the emergency service of the place. His wife, was also participating in the same race and was the first to arrive over her husband. Being one of the emergency service operators, she began the heart massage while the Rescue Sam was brought to the scene. After positioning the electrodes, Rescue Sam performs the analysis and recommends defibrillation. 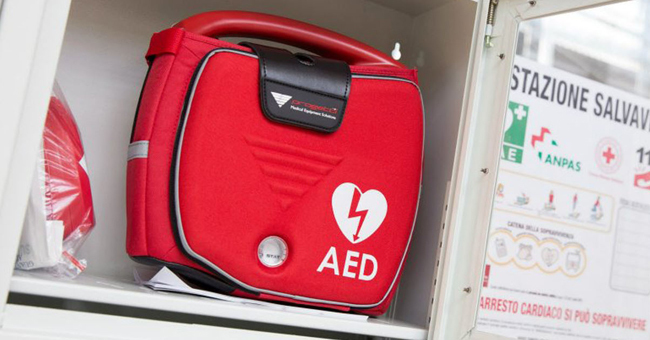 The defibrillator performed successfully the shock and the athlete was immediately recovered. He was then transferred urgently to the Sundsvall hospital and placed under intensive care. The cardiologist contacted us to recover the memory of the defibrillator for evaluation of the events during the rescue and we have provided the necessary equipment. Today, as far as we know, the person has recovered from the incident and he is back to his normal life. It is also good to say that the athletes’ wife, having done the heart massage and using Rescue Sam that saved her husband life, today works for us as a BLSD trainer. Life is really beautiful at times!